Life as Pink Einstein | Dallas Fashion and Lifestyle Blogger: Just a Girl and Her Demodog + President's Day Sale! 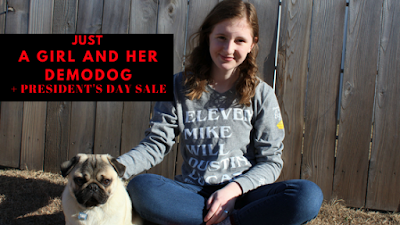 Just a Girl and Her Demodog + President's Day Sale! Jadelynn Brooke is having a President's Day sale! All squad goals shirts are now 30% off with code SQUAD30 and I wanted to feature my favorite squad goals shirt in honor of the sale today! If you didn't know Stranger Things is my favorite show right now and when Jadelynn Brooke released their Stranger Things shirt I knew I had to have one! I think this sleeve is so cute! Don't forget to use code "SQUAD30"!